Blowout Sale! 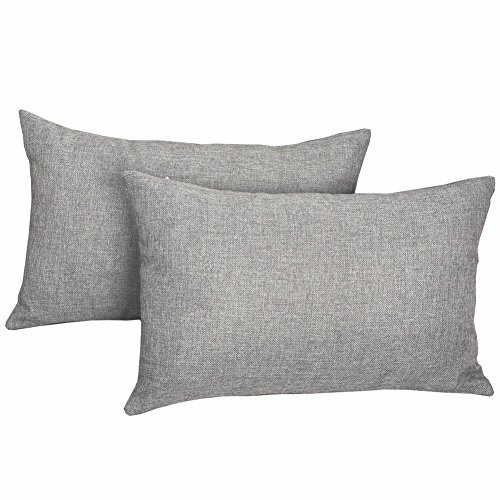 Save 73% on the MRNIU 2PCS Pillow Covers Fine Linen Home Decorative Soft Pillow Case Covers with Zipper for Chair No Pillow Insert (12 x 20, Neutral Grey) by MRNIU at Home Decor Outlet Store. MPN: MN40-12-5. Hurry! Limited time offer. Offer valid only while supplies last. DURABLE:This linen cushion cover is the perfect cushion cover for sofa, couch, chair, bed, school, travel and naps. MATERIAL:The cushion cover is made of 100% high quality polyester. EASY TO CARE:This pillow case covers with zipper improves the apperance and provides easy insertion and removal. If you have any questions about this product by MRNIU, contact us by completing and submitting the form below. If you are looking for a specif part number, please include it with your message.